In the 1890's a small group of Christians met together to worship God on Sunday mornings. 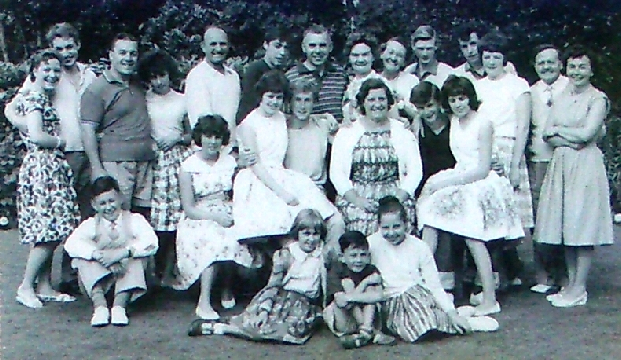 They were from the Brethren tradition and met in a small house near Enfield Lock station. This house had once belonged to a butcher and was known as the 'Slaughter House'. Herbert Linscott (seated) The leaders at the time were J. E. Kennan, George Miller, Frederick Freeman, Herbert Linscott and Charles Wright. Tent Missions were held in the fields belonging to Mr Freeman, who lived at The Grove in Turkey Street, and Mr Linscott, whose shop stood on the corner of Ordnance Road. The large kitchen at The Grove was used by Mrs Freeman to hold Women's Meetings. Numbers increased, and it was decided to find a new venue for Sunday evening gospel services. Albany Hall, a music hall at the top of Albany Road, was acquired. It was a rather dreary, dilapidated place but, even so, Sunday School classes were held there on Sunday afternoons. 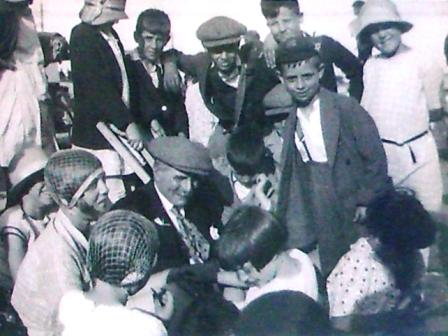 Morning meetings were still held at the Slaughter House and there were now between 40 and 50 members. Due to the size of the place (20' x 12') and the fact that there were stables nearby, it was decided to raise funds to build a new hall. An initial £500 was raised and a further £500 borrowed and eventually Enfield Highway Gospel Hall was built in the high road. This was in the year 1898. Other sites for the Gospel Hall had been considered: the corner of The Grove Estate; opposite Woolpack Bridge; the corner plot of ground in Albany Road. These were all thought to be too expensive and so the plot that we now have was chosen. In November 1932 permission was granted to erect a 'temporary' building, behind the Gospel Hall, to be used by the Sunday School. This timber building is still in use today! In September 1959 the original, very tall, speakers' platform was replaced with a lower, more modern one and in April 1963 the pews were sold and replaced by 120 chairs. The 1970's and early 1980's were a busy time, with a lot of building work being done. It was decided to have a new building put up behind the temporary hut and this was ready for use in January 1976. This has been used over the years for all the different youth work in the church. At present the Sunday Club meet in this building on Sunday mornings and the Beavers/Cubs/Scouts use it during the week. The next building work undertaken was the kitchen/toilet facilities in 1980. The kitchen was made smaller so that room for extra toilets could be provided. Previously the men had been using an outside toilet, so these alterations were quite a necessity. In January 1987 a mobile hut was delivered by crane and rolled into place alongside the main church. Building No. 4 had arrived! More recently an upstairs room has been built in the main church building. This has provided much needed storage space. For some time the Leadership Team had been concerned about the public's perception of us as not being a 'real' church, and sometimes being mistaken for the Co-op Hall. It was therefore decided to change our name to include the word 'church'. After some consideration the name Albany Church was chosen. When we had our new front wall and garden space built we held an Open Day for people in the area to come in and find out what we stood for. 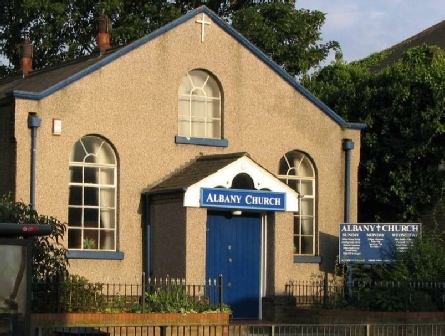 It was on this occasion in March 1996 that our new name - Albany Church - was officially announced. We also acknowledged that we were so far removed from our Brethren roots that ‘evangelical’ was a more accurate description of our style and practices. We therefore left the Brethren movement and reaffirmed our long standing membership of the Evangelical Alliance. Many changes have taken place over the past 100 years, but some things remain the same. The Christians here still worship the same Lord Jesus Christ as those early believers did a century ago. 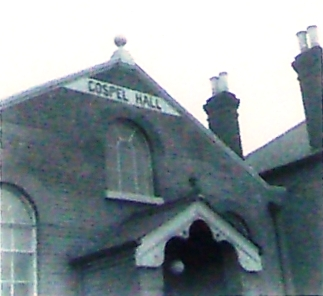 In March 1898, the new Gospel Hall was opened and the first Annual Meeting was held on 18th March 1899. 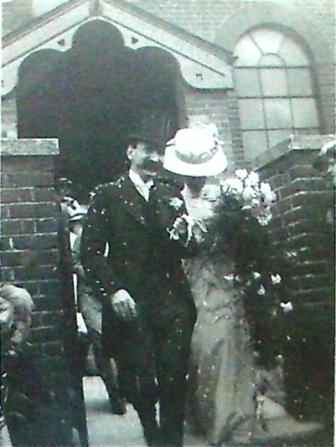 In November 1903 the Hall was registered for marriages and the first wedding was held on 19th December between Edward Spencer and Lily Freshwater.